Swarming is a natural part of the honeybee reproductive cycle. 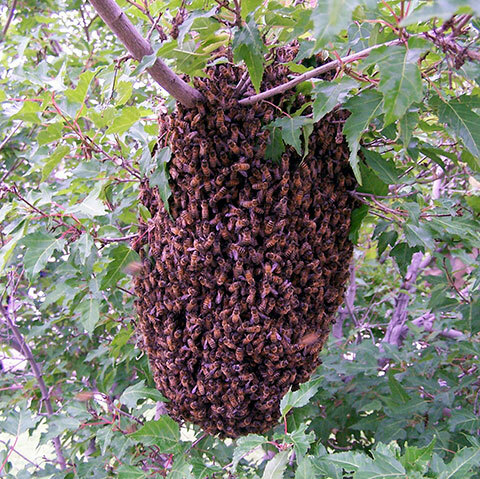 If you’re lucky enough to see a swarm-in-progress, or to find one in a bush or tree, please call your local swarm hotline to connect with a beekeeper willing to collect it. The statewide CSBA swarm hotline number is 1-844-SPY-BEES. Boulder County swarm calls will be sent to Beth Conrey, who will route them to BCBA members on the 2018 swarm list. Beth Conrey is our Dispatcher. She will route the calls by proximity. Expect swarm calls from April 15 (few swarm calls) to a few more calls every day by 5/1; 15-40 calls/day around 5/15 through 6/15. Join a bee club. You must be a member of a CSBA-associated club to be on the call list. Please note that these swarms are intended for club members’ use only; selling swarms is not permitted. Sign onto the BCBA swarm catcher list. Bee prepared and have necessary equipment: Veil and gloves, box and tape, vacuum, extension cords, ladder, brush, clippers, sugar water, extension pole, bucket. Bee suits/jackets mandatory. Prepare hives in advance to accept the swarm. 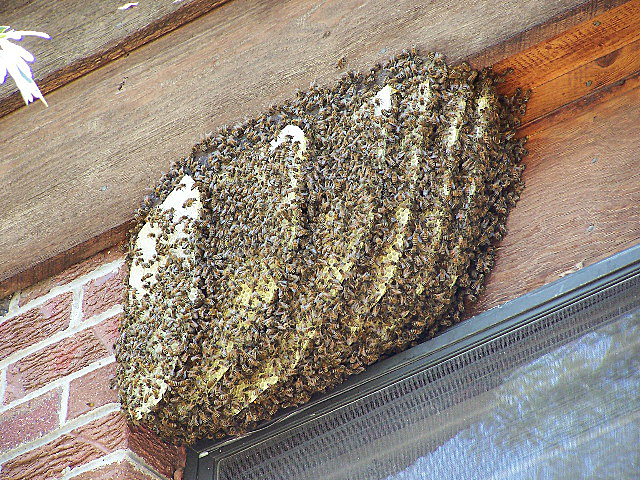 Note: Honey bees that have started to colonize within a building or structure are far more difficult to remove than a swarm and removal will require the services of an experienced beekeeper. There is a fee for this service. The beekeepers on this list are licensed and insured.